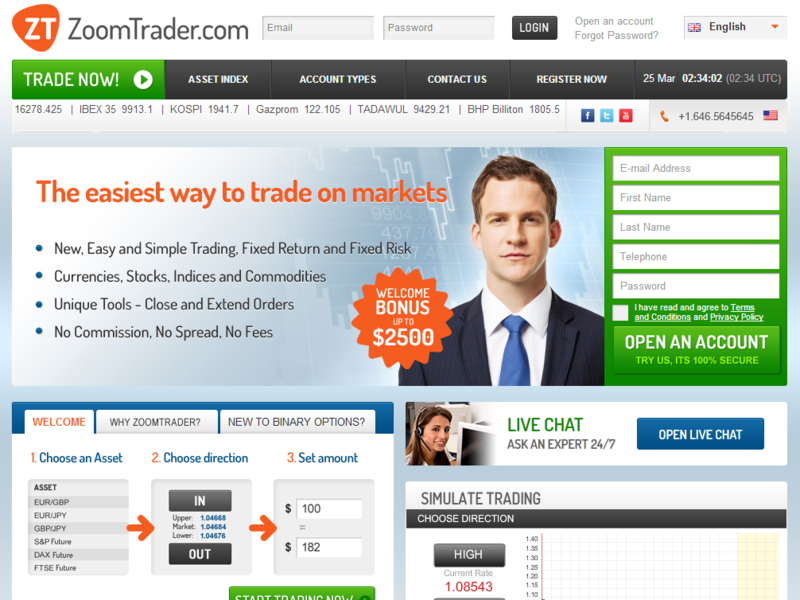 Started in 2012 and based in Mahe, Seychelles, ZoomTrader is one of the newest binary options broker to break into the competitive binary options industry. The broker offers a varied range of financial instruments to trade with providing traders with the opportunity to earn returns as high as 83%. In addition to the high returns, transactional costs is negligible as ZoomTrader doesn’t charge traders any commission or fees for trades done with them. The broker is also especially well known among traders for its offerings of high welcome bonuses. For traders who are looking for elasticity in the trading platform, ZoomTrader is absolutely anideal choice. Nevertheless, traders should bear in mind that ZoomTrader focuses on growth and as such high volumes traders will find themselves quite at home dealing with ZoomTrader.